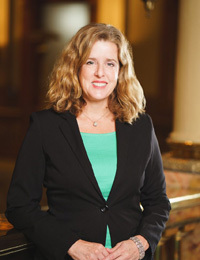 The founding partner of the firm, Ruth has been lobbying in Colorado for over 25 years and is well regarded as one of the premier budget lobbyists in the state. Her work has resulted in millions of dollars annually being directed to client needs. Ruth has also worked as the executive director of a non-profit organization and organized a campaign to fight a constitutional initiative. Ruth has gained the trust and respect of members from both sides of the aisle and consistently secures bipartisan sponsorship and support for client legislation. She holds a Masters Degree in Political Science. 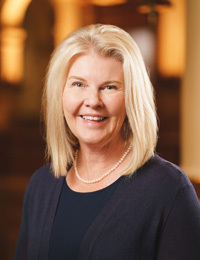 Edie has over 35 years in lobbying experience, health care administration including hospice administration, reimbursement contracting, auto industry regulations and medical device manufacturing. Edie was successful passing prosthetic parity legislation for the Colorado Coalition for Working Amputees, the first in the country. She has worked on difficult health insurance legislation, auto industry issues, reasonable licensure legislation and decreasing burdensome regulations. Edie specializes in the areas of health care, non-profit organizations, and business. She holds degrees in Political Science and Nursing. A veteran of the advertising and marketing community, Sara brings over 18 years of strategic communications experience to the firm. She is skilled in public relations, media affairs and strategy development for public, private and non-profit organizations. She has managed statewide advertising campaigns and specializes in social marketing initiatives. 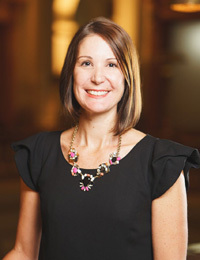 Her areas of public policy expertise include heath care, early childhood education, public health and immunization policy, in addition to the state budget process. Sara holds a Masters Degree in Public Administration. Cindy brings over 30 years of detail, organization and management experience to the firm. Her role to support the team includes schedule coordination, customer billing and contracting, event planning and overall operations management. Throughout her career, Ms. Link has placed a strong emphasis on customer service and thorough communication. She currently serves on the Board of Directors for Woodglen Square Home Owners Association, and volunteers at the Samaritan House. 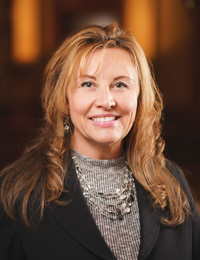 Ms. Link is a native Coloradoan hailing from the San Luis Valley who is fluent in Spanish. She and her son Adam live in Thornton, Colorado.